In Land of the Rising Sun with FCAT for Osaka Marathon 2015: Race Expo | JustRunLah! While the race participants were eagerly queueing up for their individual race packs, the other side of the expo was also filled with energy coming from vendors engaging runners about their newest running products and services. Most activities at the booths were met with long queues of cheering crowds and curious runners. It was great to see all runners coming together to celebrate the one thing we all love – running. The race expo was also accompanied by a mega food expo showcasing the delicacies of Osaka, which provided a good platform runners to mingle around and learn about Osaka’s culture. And as expected of Japanese’s excellent service standards, the vendors and volunteers were very courteous and politely entertained every runners’ enquiries and requests. The Osaka Marathon 2015 Race Expo was definitely, one of the best race expos we had ever attended. Thank you to Flight Centre Active Travel for giving us the opportunity to experience the passion runners have for Osaka Marathon and a preview of the race on Sunday. An annual marathon road running event for men and women held in late October in the city of Osaka, Japan. 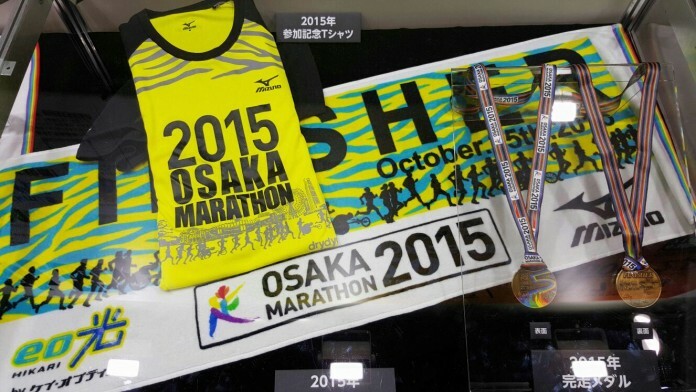 Happening on Sunday, 25 October 2015, the 2015 Osaka Marathon is expecting a staggering 30,000 marathoners. There is also a “Challenge Run” covering a distance of 8.8km. The event will kick off at 8:55 a.m. with the wheelchair race, followed by the Marathon and Challenge Run at 9:00 a.m. Both marathoners and challenge runners will flag off at the exquisite Osaka Castle Park. The event is jointly hosted by the Japan Association of Athletics Federations and Yomiuri Shimbun, a Japanese national newspaper. Runners are able to select the charity colours representing the charity theme and activities of the charitable organisation they wish to support: Red—to support your hopes to live, Orange—to assist your dreams, Yellow—to support families, Green—to conserve our natural environment, Light blue—to provide clean water, Navy—to brighten children’s future, and Purple—to preserve the beautiful Osaka city. With FCAT you can combine your love of travel, fitness and adventure. Click here to enquire about packages!